Medical plant(ANACARDIUM occidentale)or jambu monyet in indonesia name, including two pieces of plant seeds or plant seeds are also called divisive. Proper name to classify these plants are leafy plants or called two institutions also dikotil. Cashew trees have trunks that are not flat and dark brown. Leaves short stemmed and elliptical (oval) with toothed edges, and leaves the stroke order are clearly visible. The flowers are white. Section of fruit enlarged, fleshy soft, watery, and reddish yellow fruit visible. That part is not the actual fruit, but it is a fruit stalk is enlarged. 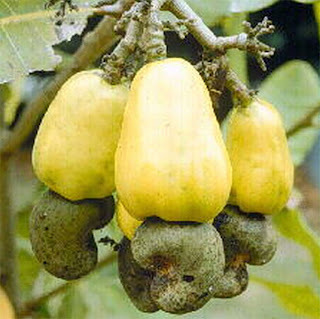 Realization of fruit called medical plant a jambu monyet (cashew nuts), which is a kidney-shaped stone with a hard rind and seeds which are two pieces of skin that contain latex. CHEMISTRY CONTENT: Cashew monkeys (ANACARDIUM occidentale), among others, contain chemical compounds such as acids Tanim and anacardic cardol, which is useful as an antibacterial and antiseptic. 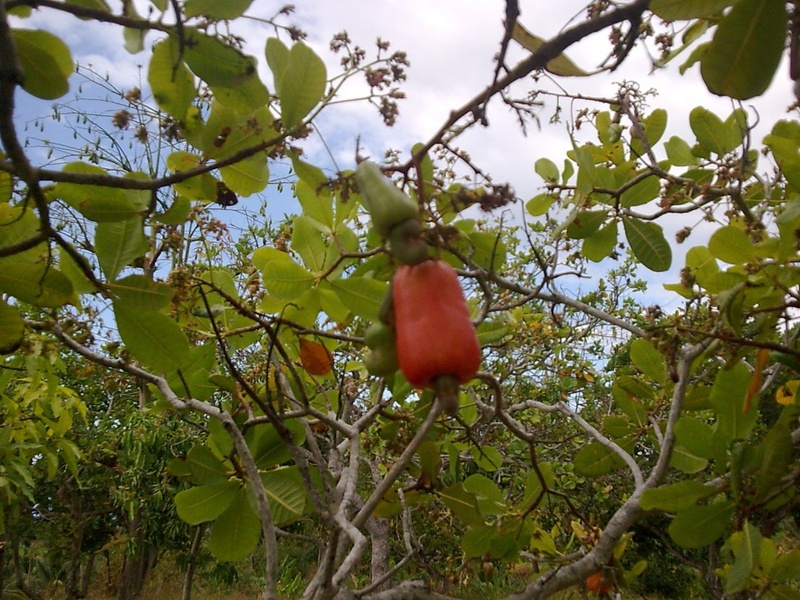 In addition to the young cashew leaves also have a chemical composition such as vitamin A 2689 SI per 100 grams, 65 grams of vitamin C per 100 grams, calories 73 grams per 100 grams, 4.6 grams per 100 grams of protein, 0 fat, 5 grams per 100 grams, 16.3 grams of carbohydrates per 100 grams, calcium 33 milligrams per 100 grams, phosphorus 64 milligrams per 100 gram, 8.9 milligrams of iron and water 78 grams per 100 grams.